WWE Officially Announces Signing Of Former NJPW And CMLL Star - Wrestling Inc.
Manuel Alfonso Andrade Oropeza, of Mexico City, has signed with NXT and WWE, joining the WWE Performance Center in Orlando, Fla. Formerly known as "La Sombra," Oropeza is a third-generation luchador whose grandfather, father, uncles and cousins all competed in Mexico. Oropeza signed with Consejo Mundial de Lucha Libre (CMLL) in 2007 at age 17, where he trained under El Satanico. While there, he held many titles, including the CMLL Trio and Tag Team titles and the NWA Welterweight and Middleweight titles. 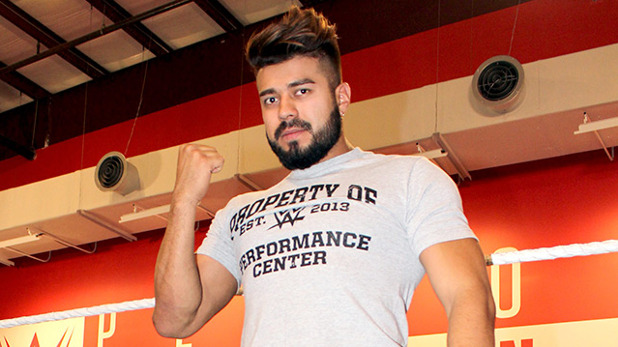 The WWE Performance Center's newest luchador also brings experience from Japan; Oropeza made multiple trips to Japan for New Japan Pro Wrestling (NJPW), winning the organization's Intercontinental Championship in 2013.